McKeesport and Mon-Yough Obituaries | A service of Tube City Community Media Inc.
A free service provided by your local funeral professionals and The Tube City Almanac, your independent, non-profit news source. This service is supported by donations and advertising. To advertise here, call (412) 614-9659 or email McKeesportObituaries@gmail.com. Betty J. Perich, of Pleasant Hills, formerly of Port Vue, passed away Wednesday, Feb. 17, 2016. She was born Oct. 26, 1932, in McKeesport, and was the daughter of the late Andrew and Mary White Schaffner. Betty was preceded in death by her husband, the late Michael Perich. She is survived by her daughter, Michele (Lyle) Washowich, of Pleasant Hills; grandsons, Michael and Samuel Washowich; sisters, Rose Supansic, of McKeesport, and Helen Krajacic, of Liberty Borough; and several nieces and nephews. Betty was preceded in death by her siblings, Goldie Nagy, Mary Grommo, William “Jumbo” Schaffner and Dolores Wedel. Betty retired as an administrative assistant with U.S. Steelworks Union and Legend Pharmacies in Pittsburgh. She was a member of St. Sava Serbian Orthodox Church and it’s Young at Hearts, Kolo and Sisterhood and also the Red Hat Society. Friends will be received from noon to 6 p.m. Sunday at the JENNIFER S. JORDAN FUNERAL HOME INC., White Oak, where a Pomen service will be held at 10:30 a.m. Monday followed by a funeral service at 11:00 a.m. in St. Sava Serbian Orthodox Church with the Very Rev. Stevan Rocknage officiating. Interment will follow in McKeesport & Versailles Cemetery. Memorial contributions may be made to St. Sava Church Renovation Fund, 901 Hartman St., McKeesport, PA 15132. Paul A. Sebelia, Jr. 44 of Elizabeth Twp. passed away at home on Sunday February 14, 2016. He was born on January 30, 1972 in McKeesport. He is the son of Paul A. and Arlene E. Thomas Sebelia Sr. of White Oak. In addition to his parents, he is survived by his siblings Jill (Lex) Medich of White Oak, Michele Sebelia of Swissvale and Doug ( Stacey) Sebelia of White Oak, his beloved Angela DiBattista, and nieces and nephews; Taylor, Alec, Luke, Dillon, Matthew , Joseph, Dannah and Samuel. Paul was a 1990 graduate of Serra Catholic High School. Marie Christina “Chris or Tina” Johnson, 81, of South Versailles Township, passed away on Friday, Feb. 12, 2016, at home. She was born on May 9, 1934, in Jeannette, and was the daughter of the late Angelo and Alba Carle Sica. She was the wife of the late Alex Johnson. Tina is survived by her children, Alex (Denise) Johnson, of Glassport, Leonard (Nancy) Johnson, of Peters Township, Kelly (Colin) Carper, with whom she resided, and Christina (Matt) Fasnacht, of Fort Meyers, Fla.; grandchildren, Bailey, Alex and Megan. Tina was a retired self employed beautician. Family and friends will be received from 1 to 5 p.m. Sunday at the JENNIFER S. JORDAN FUNERAL HOME INC., White Oak. Service will be held at 11 a.m. Monday at Christ United Methodist Church, 2800 Coulterville Road, White Oak, PA 15131, with the Rev. Dr. Sang Kong Choi officiating. Interment will take place in Coulter Cemetery. In lieu of flowers, the family has requested memorial contributions to Christ United Methodist Church in Tina’s memory. Condolences may be made at www.jenniferjordanfuneralhome.com. George B. Markovina (Markon) age 94 of Clearwater, FL died on Saturday January 30, 2016. Mr. Markovina was a veteran of the United States Army serving during WWII. He was a retired economist with the U.S. Bureau of Mines, Dept. of Interior in Washington, D.C. In 1962 he founded St. Luke Serbian Orthodox Eastern Orthodox Church in McLean, VA and was currently a member of St. George Serbian Orthodox Church in Clearwater. 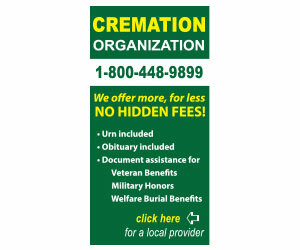 Licensed funeral professionals, login here. 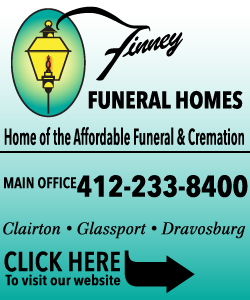 Licensed funeral professionals from the 412 and 724 area codes may use this service, free of charge, to post obituaries and death notices from McKeesport, Duquesne, Glassport, White Oak and the surrounding areas. To request a login, please email McKeesportObituaries@gmail.com. Funeral professionals from outside the McKeesport area may email obituaries or call (412) 614-9659. Ronald J. "Lukie" Lucas, Sr.
Disclaimer: Information was believed, to the best of our ability, to be accurate at the time when it was published, but is subject to change at any time. No warranty or guarantee is implied and neither Tube City Community Media Inc. nor the licensed funeral director named in any given obituary is responsible for errors, changes, or omissions. Your use of this website implies acceptance of these terms. Powered by PivotX. Hosted by Skymagik Internet Services, McMurray, Pa. Union made, labor donated: National Writers' Union, Local 1981, UAW-AFL-CIO. Member Online News Association. A service of Tube City Online and McKeesport's Internet radio station, WMCK.FM.